One-of-a-kind Brewhouse experience featuring a California spin on Chicago-style deep dish pizza, the world-famous Pizookie and handcrafted beers. 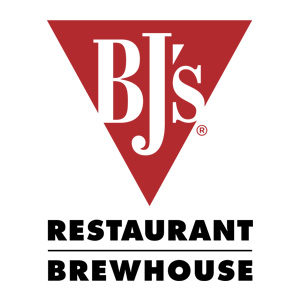 Here at BJs Restaurant & Brewhouse, weve been serving up a one-of-a-kind Brewhouse experience for forty years. We pride ourselves in our craft and attention to detail.Our innovative and broad menu features a California spin on Chicago-style deep dish pizza complemented with generously portioned salads, appetizers, sandwiches, soups, pastas, entrees and desserts, including the world-famous Pizookie. We offer a variety of our very own award-winning handcrafted beers on tap every day, which over the years have won more than 160 awards. In addition to our 11 signature beers and cider, we also offer seasonal and local brews as well.